When Acer unveiled the G7 series, I was certain that gamers and professionals are in for a treat. Great visuals have always been one of the strong points of any Acer product – be it a monitor, a laptop, or a smartphone. As expected, it was also the great visual features that stood out in its G7 Series monitors. And by ‘great visuals’, I mean – monitors that can be used for gaming purposes. Read further and learn what I am actually talking about here in this Acer G257HU review. Truth be told: most of the gaming monitors are pricey. This is why gamers, especially the beginners or the novice, are always on the look for better alternatives. The idea is to find a monitor that would not require too much maintenance, easy to navigate, and easy to troubleshoot. It may sound too good to be true, but you can actually find all of these advantages without having to break your bank. This is where the Acer G257HU PC monitor steps in. In a nutshell, you pay for outstanding visuals, style, performance, and get real value for your money. The Full HD resolution elevates your gaming and viewing experience. 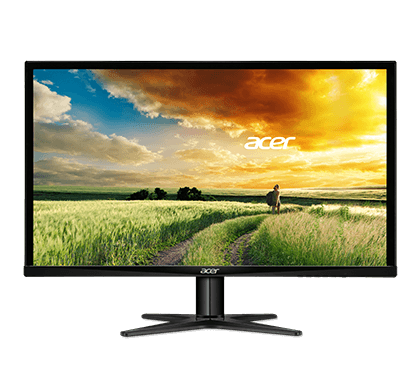 Both 25-inch Acer G257HU and the Acer G257HU smidpx offer enhanced graphics and picture quality all the time, and can very well be the best gaming monitor for starters to consider. Let’s kick off this Acer G257HU 1440p display review with picture quality. The resolution of 2560 x 1440 is more common to 27” screens. However, this resolution works well with the 25” screen of this Acer monitor. As the screen size is a couple of inches smaller, the pixels have less area to covered. This results in sharper, higher-fidelity, and crisper display. In fact, it is also important to point out that I never encountered any screen bleeding, tearing, ghosting effects, and not even a single dead pixel when using this monitor. You will especially appreciate such resolution when you go on long sessions of gaming or when you stream for hours. The ultra-thin bezels also offer borderless viewing. This makes it an excellent alternative to more expensive 27” screen as there is barely any difference when it comes to the size of the display. The response time is also of big help, as it ensures smooth graphic images when playing FPS games. One thing that I actually appreciate is that there was no lagging nor picture stuttering. This is a big plus as it would normally require a player to spend tons of money for a monitor to deliver such quality and performance. The color quality is one aspect that I also appreciate. The wide viewing angles are among the strong points of this monitor. I can view the screen from any angle and still see quality images. The color quality and color depth are both consistent from any angle. If there is one thing that I would consider its downside is the brightness. It was very bright when I first used it. As I first positioned the monitor close to a window, I instantly saw how difficult it was to look at the screen. I had to re-calibrate the brightness and the contrast to suit my preference and tone down the brightness. Had I not done it, it would have been more difficult to use it under any lighting condition. 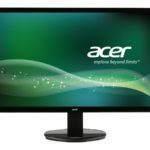 This Acer G257HU IPS monitor comes with an In-Plane Switching display which ensures consistent color quality from any angle. The color depth remains the same whether you are viewing it from the left or the right. Graphics and pictures come to life with crisper whites, darker blacks, and strong colors. The Full HD resolution is delivered with the integration of the Acer CrystalBrite Technology. Said technology is specifically designed for the G7 Series of Acer and is intended to guarantee better color intensity. The expansive views are one of the top features of the Acer G7 series. The LED backlighting, the IPS technology, and the Acer CrystalBrite Technology are all designed to maximize an enjoyable viewing experience. The Blue Light Feature lets users decide the amount of blue light to be filtered. Moreover, all monitors of the G7 series are also equipped with Flicker-less technology. Flickering tends to cause eye strain especially to those who are in front of the monitor for long periods of time. Flickering is not exactly visible but can be felt when a person starts to experience eye fatigue. The monitor has also an integrated anti-glare technology for a more comfortable viewing. Aside from the quality of display and images, the Acer G257HU monitor is also designed based on ‘green’ perspective. The monitors of the G7 series are 100% RoHS compliant. The displays are also guaranteed mercury-free. Aside from the usage of eco-friendly materials, the monitor is also equipped with the latest AcerEcoDisplay technologies. The LED backlighting is also used to allow energy-efficiency. The backlight lets users save energy and reduce energy costs. One importantly, the technologies used allow conservation of the planet’s resources. For those who wish to mount it on the wall and not use it on a desktop, you have to purchase a separate back plate and all other mounting accessories. Unfortunately, this model does not come with VESA-mount accessories. While the screen itself looks stylish, the stand seems a bit flimsy. You can, however, tilt it forward or backward depending on your viewing preference. Another aspect that Acer should look into is the quality of the built-in speakers. They simply do not do justice and would have been great if they offered crisper sound quality. On the other hand, connecting separate speakers can fix the problem. On a more positive note, it is easy to assemble and all components are neatly packed in the box. The Zero Frame Design is also an important feature for gamers who wish to maximize screen space for better gaming experience. All G7 series monitors of Acer, including the G257HU, are all equipped with the same stylish feature. If you are one serious gamer and you use a multi-display set-up, this monitor can be a great addition. The ultra-slim bezel offers seamless viewing when the monitor is placed next to other monitors. Moreover, you can also tilt the screen up to 15 degrees for a better and more comfortable viewing. However, the height adjustment and rotation of the stand are not possible. 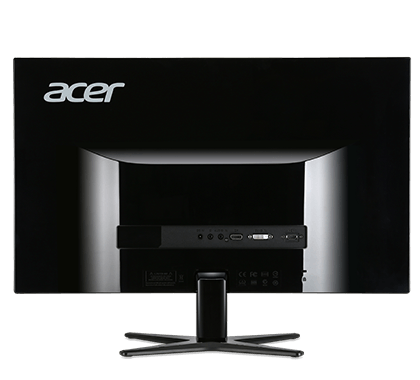 If the lack of adjustability and VESA-mounting tools may deem inconvenient, it is good to know that Acer also offers warranties, replacements, and refunds. It is, however, highly suggested to get in touch with them to obtain further information. And yes, keep everything intact if you wish to have your unit replaced. 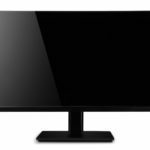 The Acer G257HU PC display has a decent connectivity. It has a built-in DVI, DisplayPort, and HDMI ports. If you wish to use multiple displays, then the DisplayPort is quite useful. It would have been better if there were USB ports as well. This would help boost the productivity of the users. Using separate adapters would be necessary for other peripherals and multimedia gadgets that you wish to connect to this monitor. Overall, the Acer G257HU is a good monitor that offers great value for your money. 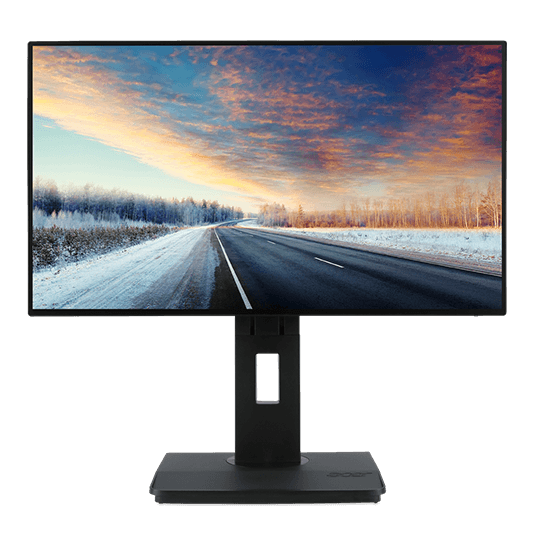 While there are minor things that need to be tweaked and improved, the performance and video quality offer sufficient reasons to spend your money on this monitor. The fantastic resolution, screen size, the absence of stuttering and ghosting, and the undeniable sharpness of color and images – are all among the top reasons I am sticking with this monitor for all my general computing and gaming purposes. The Acer G257HU offers vivid colors and superb display quality without breaking your bank. The Eco-efficiency, the overall design, and the performance are among the reasons why you should give this monitor a try. As one of Acer’s G7 series monitors, expect quality and performance all rolled into one monitor. What’s the difference between smidpx and regular version?